The channel has been brought back from the wilderness on the Sky Electronic Programme Guide. Following the last revamp of the Sky EPG in May 2018, Forces TV found itself cast adrift from other entertainment and factual channels on Sky and into an overspill on channel 450. From today Forces TV is available on Sky channel 181, taking up a slot that was previously used by the now closed-down Sony Crime 2 and into a higher ranking part of the EPG the channel says is "a more popular area for viewers." Forces TV is operated by the Services Sound and Vision Corporation, who also operate BFBS branded services. The channel is the home of specialist news and military factual programmes, but has in recent years gained a following with its screening of classic British and US television series. The channel remains unchanged on other platforms. 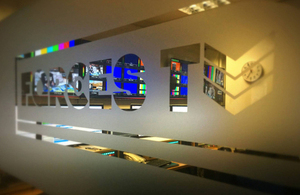 In the UK, Forces TV is available on Freeview 96 (limited coverage), Virgin 277 and Freesat 165.